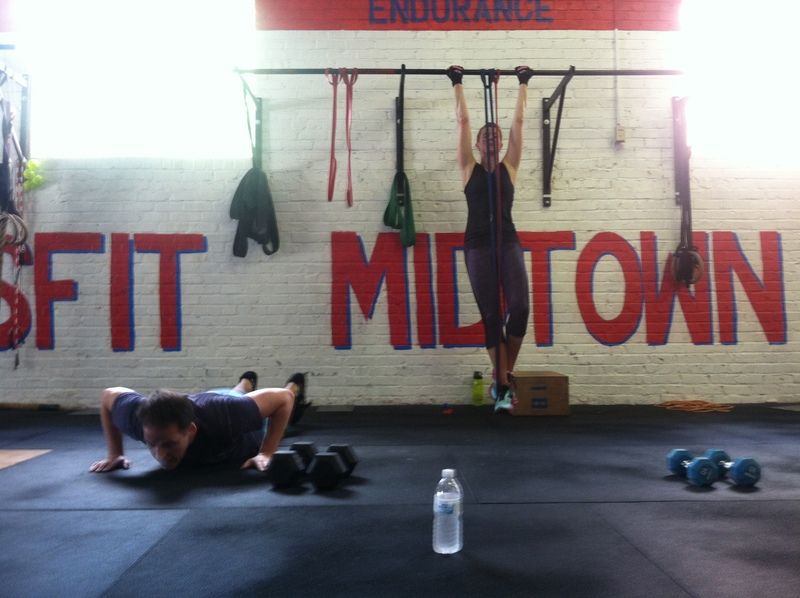 Happy October & good luck to our 32 CFMers embarking on the Fall Challenge. We'll be testing four prelim workouts today & tomorrow as part of regular class programming, and retesting them in four weeks on October 29 & 30th. Challengers: Enter your scores for the four workouts on the clipboard by the stereo. 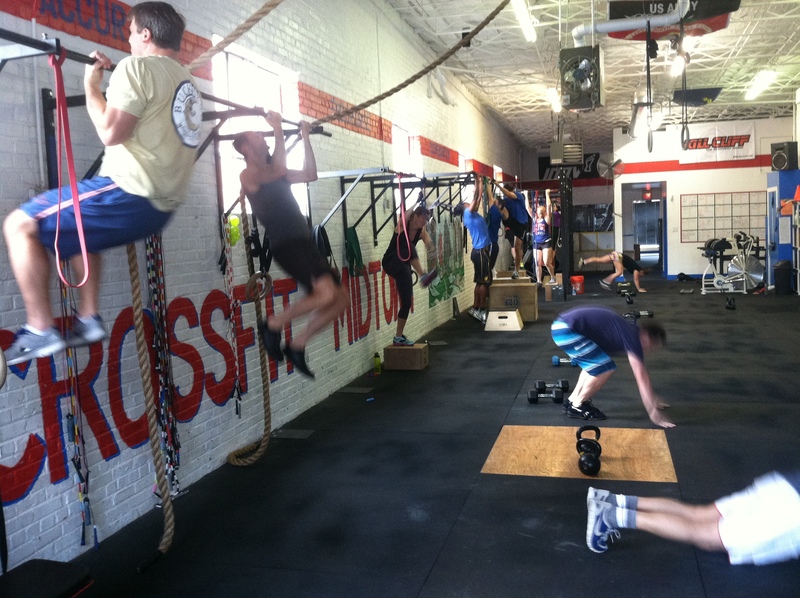 The four workouts are: 1) 3-rep max front squat, 2) 1:00 row for max meters, 3) one attempt at max-rep pull ups, 4) As many rounds & reps as possible in 15 minutes of double unders, burpee broad jumps & handstand push ups. Email Tirzah if you still need prelim measurements & pics done. 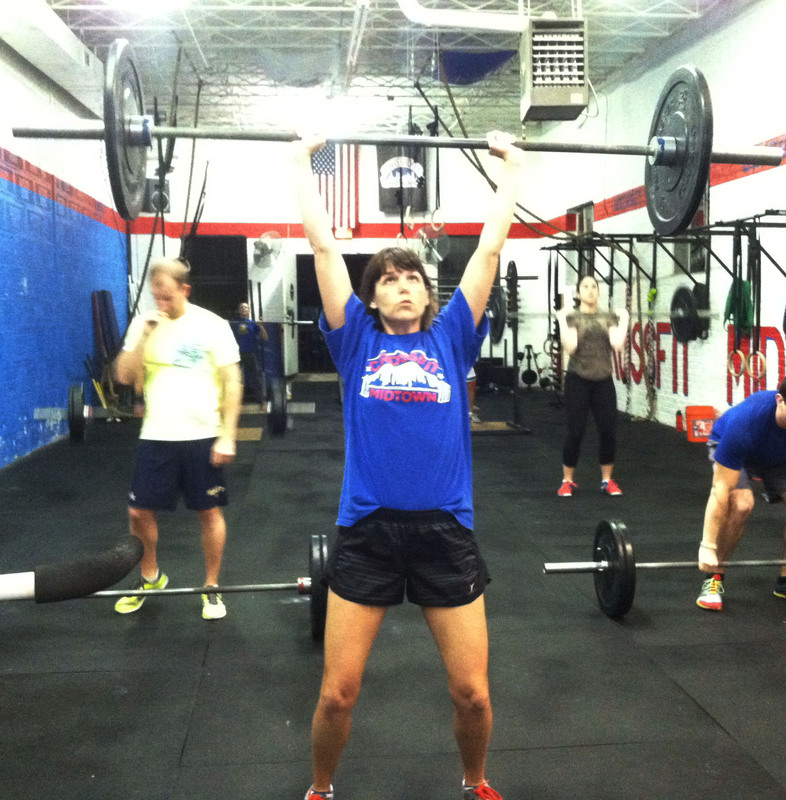 Darcy crushing yesterday's workout at 6a. 8am classes will continue on TUESDAY & FRIDAY for two more weeks. The attendance average must improve to THREE in order for the classes to continue. We know a few of you LOVE that class, so be sure to attend if you want it to stay on the schedule! 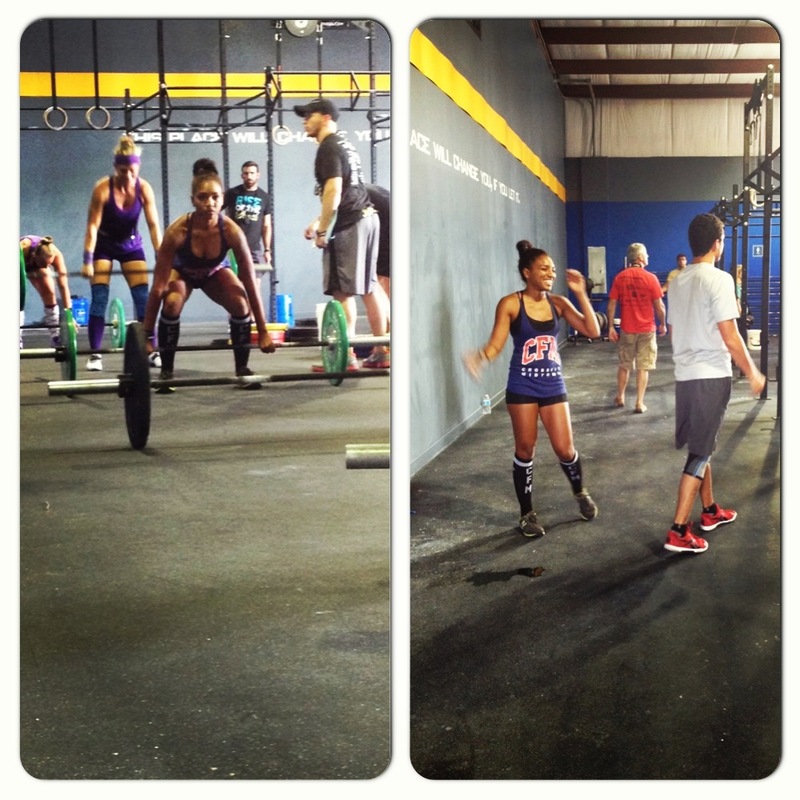 *CFMakeover use Part A, Round 1 for STRENGTH WOD 2 result. However you scale today's workout is the same way you'll scale for retest at end of month. Don't forget to REGISTER HERE for the CFMakeover! The challenge starts tomorrow. 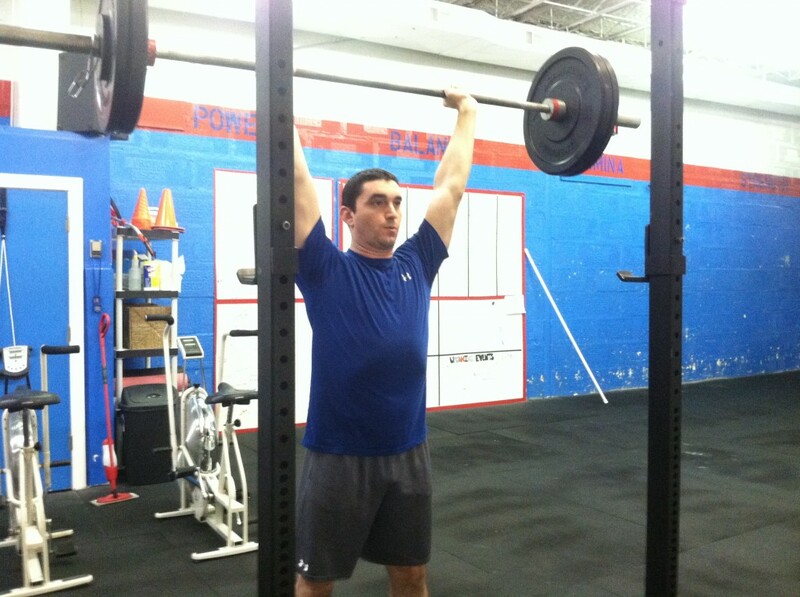 Matt G on strict press. 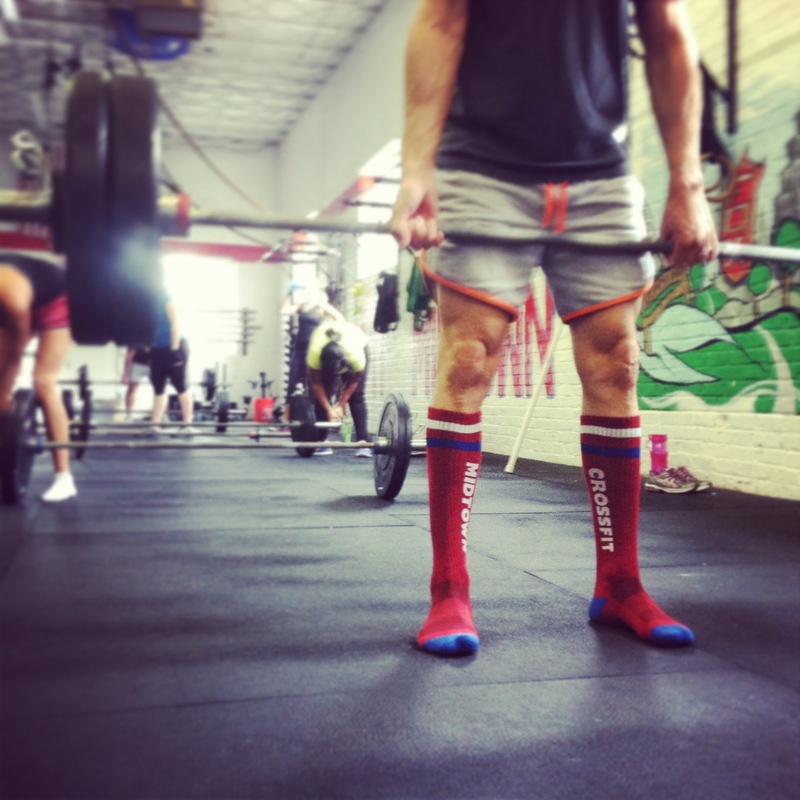 We have deadlifts coming up Thursday...make sure to grab a pair of CFM socks in the pro shop!